Our leader Suho is so good in acting!!! Hello. This is EXO’s Kai. Today I stood on the same stage with Taemin performing the song ‘Pretty Boy’. Thank you so much to EXO-L and SHINee World who came to see us record it this morning. Thank you SHINee World for giving me such a warm welcome, I was really impressed to see all the support you gave Taemin. Although this was the first time I performed in front of SHINee World, I feel like we created really good memories together! And EXO-L!! You gave me so much strength by coming to see me in the morning. It took a while [to record] so it must have been difficult for you. ㅜ I was impressed by how organized you guys were and touched by all the support. It’s been a while since I did a stage like this, and looking at it… I felt really, really good. I felt so so good that I wanted to talk to you all after the performance had ended, but I couldn’t because they had to continue recording the next stage, so I’m writing this to tell you how I feel. As expected… I have nothing but you fans. To all the fans who couldn’t come today, I hope you will see this message and feel better. EXO-L, you all know how I feel, right? Thank you!! 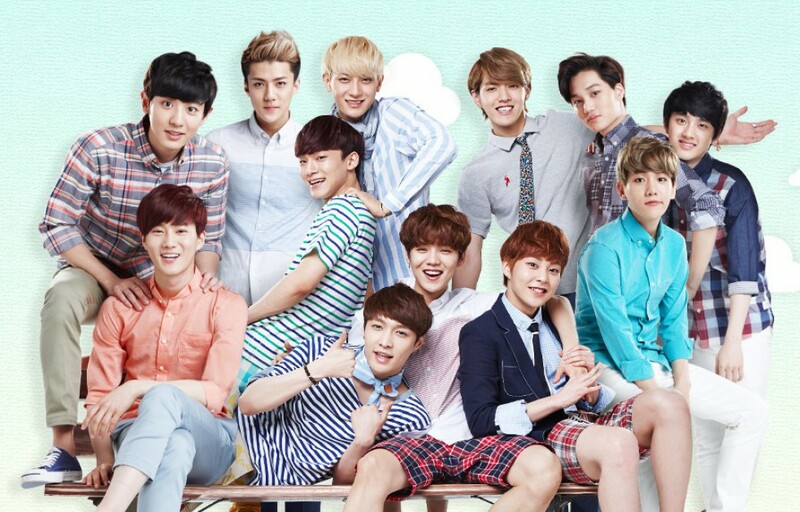 Are you ready for EXO’s new variety show, 90:2014? After the initial announcement about a show being on its way, Mnet has dropped concrete details including the title, concept, and the premiere date! It’ll be called ‘EXO 90:2014‘, and like its name, it’ll aim to connect K-Pop veterans from the ’90s with EXO to re-explore past hit songs as well as ’90s culture. The EXO members will appear as the lead characters in the ‘2014 version’ music videos of these past songs that will be produced with each episode. It’s not yet known if this will be only EXO-K members or all of EXO since the poster image shown above show just the EXO-K members, but the title listed states EXO. The show will premiere on August 15 at 10pm!